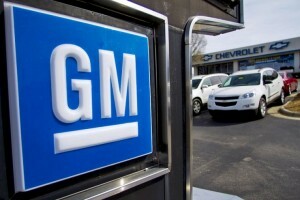 CARACAS – General Motors has denounced Venezuela’s seizure of its plant in the socialist Caribbean country as an “illegal judicial seizure of its assets” and vowed to sue. The company said in a statement last week that vehicles and other assets had been taken from its facilities. The Detroit-based firm did not provide details about how the seizure unfolded, however. But according to Peter Quinter, Miami-based chairman of law firm Gray Robinson’s Customs and International Trade Law Group, GM’s legal recourse against the Venezuelan government is likely limited. Amid turmoil marked by massive public protests, runaway inflation, and grave shortages of food and medicines, the government seizure put an abrupt end to GM’s operations, a fate that other companies have already faced. Caracas has previously seized assets belonging to US companies, including those of cleaning products maker Clorox in 2014, glassmaker Owens-Illinois in 2010, and nationalized a rice mill operated by Cargill. The Venezuelan government’s assault on General Motors nevertheless suggests that the country is getting bolder as its economic circumstances deteriorate. President Nicolas Maduro’s relations with the US have been tense in recent years, with claims that Washington is aiding the Venezuelan opposition in destabilising the country. General Motors Venezolana, a GM subsidiary, was established in 1948 and employs about 2,700 workers and has 79 dealers in the country. The beleaguered Venezuelan economy has reportedly dragged down the auto industry for several years, as tanking sales and abysmal currency exchange rates have undermined earnings. The seizure of the General Motors factory marks a step in the country’s economic crisis that is thought to heighten risks to the remaining operations of other US and multinational companies there.